Office 365 comes with a full list of tools that will make you and your colleagues more productive! Because you’ve been using Office applications for many years, it’s easy to stick to the same old habits. For example, you’ve probably memorized all kinds of keyboard shortcuts. Once you’ve adapted to a changed interface, you’ll want to use your favorite application in the same familiar way. Well, you may be missing new features that can revolutionize the way you work! 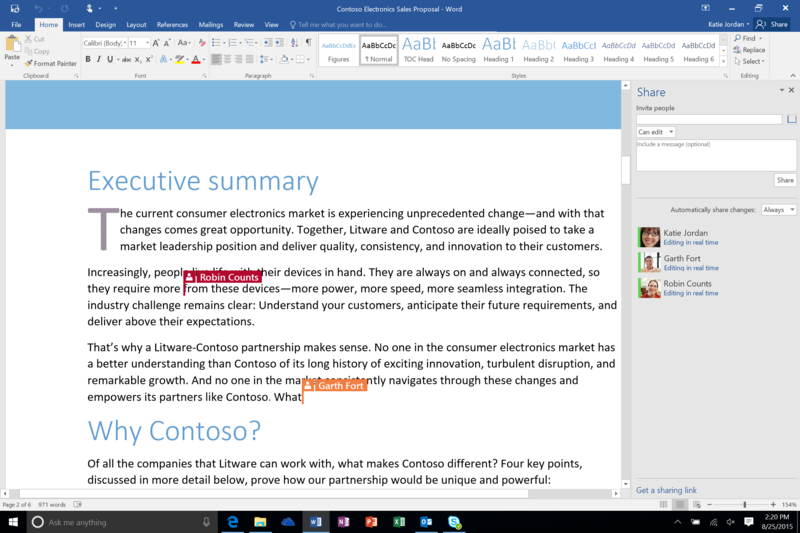 Microsoft wants businesses to increase productivity with its products, and with the recent release of Office 2016, collaboration has been pushed to another level. Is your Office 365 instance safe? Click here to learn 3 tips to protect your precious data from hackers. Are you a big fan of Word, Excel, PowerPoint, OneNote, Publisher or Outlook? Do you often use Skype for Business, and OneDrive or SharePoint? Check out these cool new features! 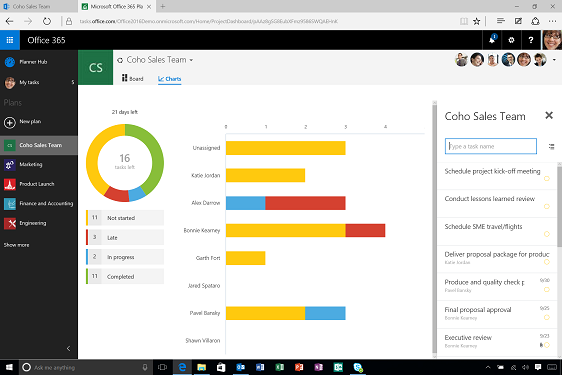 Have you heard about Skype in-app integration in Office 2016 apps? Use this feature to chat, share screens and have audio or video conversations with your colleagues. And you don’t even have to leave the application you’re working in! Even when you do close the application, you can continue the conversation via Skype on your desktop or phone, and keep talking to the team as they edit. Convert notes to tasks inside your calendar and assign them to colleagues with reminders and deadlines. Send meeting minutes taken in OneNote by email and automatically add details (date, location, attendees,…) for each meeting they’re related to. Use a simple keyboard shortcut (Ctrl+P) to turn your mouse into a laser pointer during your PowerPoint presentations. You can also use the Presenter Mode commands. This feature has been part of PowerPoint for years, but was recently integrated for touch-screen devices. If you hold your finger or stylus down on the device, the red button fake laser pointer will appear. Power Map is part of the powerful and interactive data visualization features in Excel, which are enhanced with Power BI, the solution for analyzing, visualizing and sharing data insights. 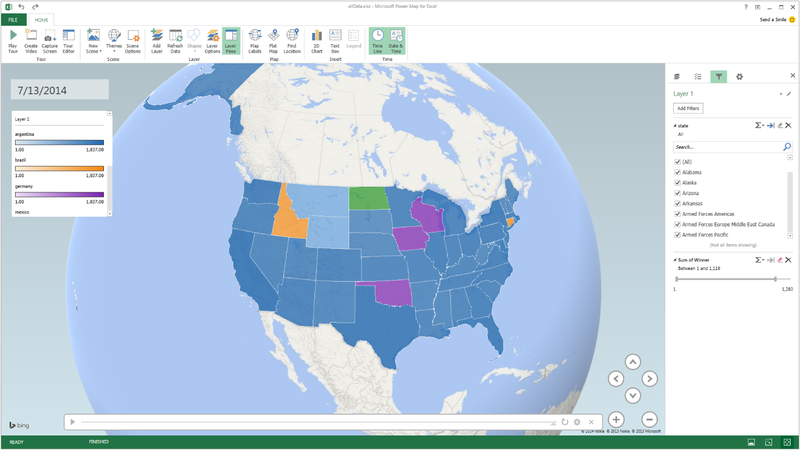 You can turn rows of data into a 3D interactive map with Power Map, which includes the ability to filter data using three different filters: List, Range, or Advanced. 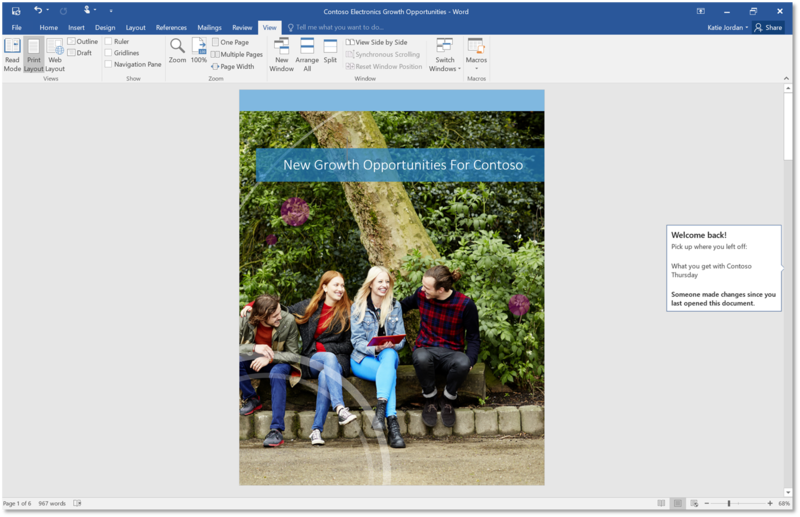 The Resume Reading feature in Word allows you to pick up where you left off, even on different devices! Word automatically bookmarks the last page you were reading! Each user gets 50GB of storage with Exchange Online for email, calendar, tasks, notes, contacts and attachments. You can save more space in your mailbox by using the OneDrive cloud storage to share attachments. Looking for a backup solution for Office 365? Visit this page. Enable the Reading Pane in Outlook to reply to email without even opening it. The Reading Pane will allow you to preview the email content, hit Reply and send your response, in the same main Outlook window. Combine this feature with the Conversations View and you’ll see at a glance if you’ve already replied to an email. You won’t have to open different windows for each message. Office 365 Planner is brand new! It will help you and your colleagues plan workflows and organize collaboration. Use this project management tool to create plans, organize and assign tasks, share files, set due dates and provide status updates. All this work is done with through email notifications and visual dashboards. Microsoft’s Clutter feature will use your mailbox rules to automatically organize your email so high-priority messages are visible first. Other email will be moved to the Clutter folder so you can view it later. How much time do you waste every day dealing with multiple sign-ins to get your work done? What if you could access the most important tools with just one click? 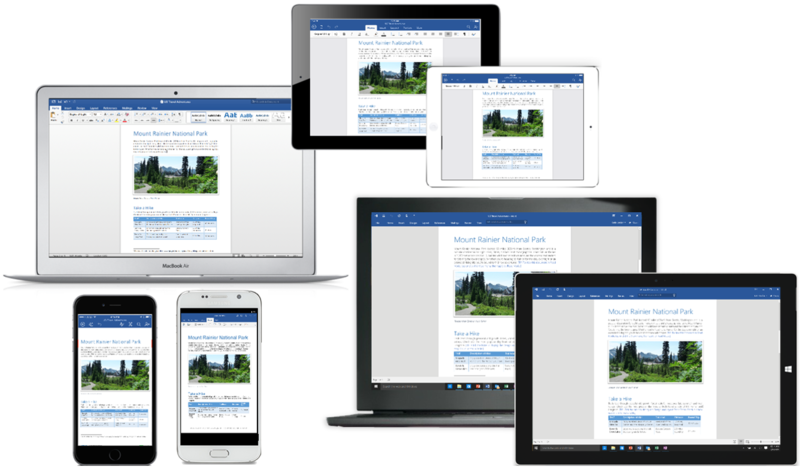 Microsoft bundled the best features from Office 365 and Windows 10 with cross-device security to create Microsoft 365, the most innovative, intelligent, and secure solution on the market. This bundle includes everything you need to stay empowered, creative, and productive, all with just a single monthly subscription. Interested in learning more about Office 365? Download our review. Sadissa is an IT professional and joined SherWeb in 2013 as a technical writer and trainer. A former systems administrator, she brings her decade-long field experience to SherWeb's marketing department, with her broad knowledge of cloud computing and service management. Sadissa is a Microsoft Certified Solutions Associate in Windows Server and Office 365, and has earned other IT certifications over the years. She has a passionate interest in singing in vocal ensembles and learning foreign languages.